Automated testing has been increasingly integrated with the software development processes and project executions rather than it being something that is used in the end after the project completion. The right usage of automation testing has proven to be useful in providing a complete set of features that contribute to creating better solutions. Automated testing has become an integral part of the development process. When you have good software developed that need to release immediately, would you release it without testing? Of course not since the repercussions could be fatal. You will want to run it through automated software and get the errors debugged fast before releasing it. Automated testing helps to run tests without any manual help efficiently and within a short period of time. Although automated software testing has been widely identified as a major player in the software projects, there are several details about automated testing that have been misunderstood. 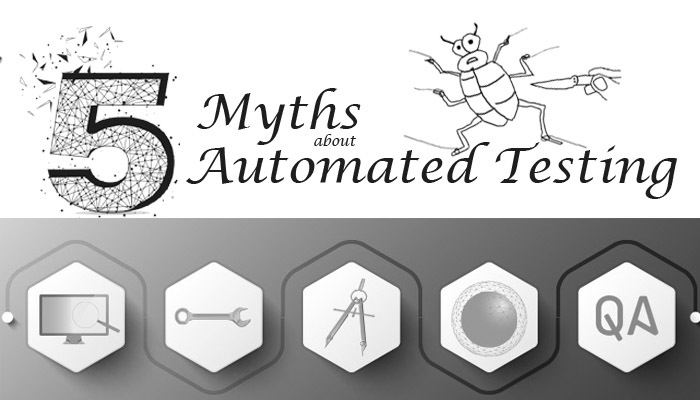 To prove clarity and straighten out the facts that are mistaken, we will address some of the common misconceptions about automated testing and explore the truth behind it. 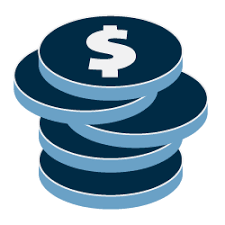 It is true that the initial cost that you need to invest in automated testing is high. You need to purchase the software, hire testers who have the knowledge in running the software and the expertise or give them the training to use the software. But when it is used in the right way, automated testing can actually save your expenses. When compared to the automated testing, in manual testing process, your testers need to spend more time in testing manually which could be spent productively on any other development procedure. You can calculate the total cost you need to spend on the automated testing over a few years and compare it with the productivity and the time in which you can do extra work. You will see that automated testing isn’t expensive as one thinks when seen as a long-term investment but in fact, it can lead to more profits. Automated testing can help enormously in reducing the time spent and in increasing the efficiency of the process. But it doesn’t mean that automated testing is the way to go for all of your testing needs. You have to keep in mind that automated testing is built on the codes that were developed from manual tests. You should know when to prioritize the tests and automate it accordingly. Some tests are better off when it is performed through manual testing while some tests are so long that it takes a lot of time to go through the manual way and may also be prone to manual errors and during such times, it is best to opt for automated testing. Therefore, you can’t totally eliminate manual testing from your process when you start using automated the testing. Though it is much easier to automate, automated software testing requires a certain level of experience. You need not have complete testing knowledge like you do for scripting and running manual tests, but you need the basic knowledge to run the automated tests. One needs to understand that writing test scripts is different than creating test cases; automated scripts are software codes and tools can’t do everything. Also, to make maximum use of the automation software, you need to handle the modules and the components and know how to efficiently make use of it. One need to have a clear understanding that automated testing doesn’t mean everything is going to be readymade. There is no such option to set up an automated testing and never look back at it again. For automated tests, the source code needs to be properly maintained regularly. It is obvious that all your organizational requirements can’t be the same at all times and all your projects can’t run with the similar software. Therefore, the code has to be edited according to your development processes and the project’s needs. When you adopt automated testing, it needs time and patience combined with the expertise to effectively make use of automated testing. Automated testing will help to identify various flaws in the application but not all the errors found by the automated software are real errors. There are some probabilities that it will also display false positives sometimes and the testers should be able to identify it. For automated testing, you will still need the knowledge of coding and creating scripts with an idea to use the software application tools to the maximum. There is no doubt that automated testing adds great value to quality assurance but incomplete knowledge could sometimes backfire and it is time to educate everyone involved in the software development process about automated testing. These misconceptions about automated testing will help the project managers to make informed decisions and make the right advantage of the automated testing software.